① Ｃhoose the same color used in KIMONO or YUKATA's pattern. ② Ｃhoose similar color to base color of KIMONO or YUKATA that gives graded effect. e.x.) 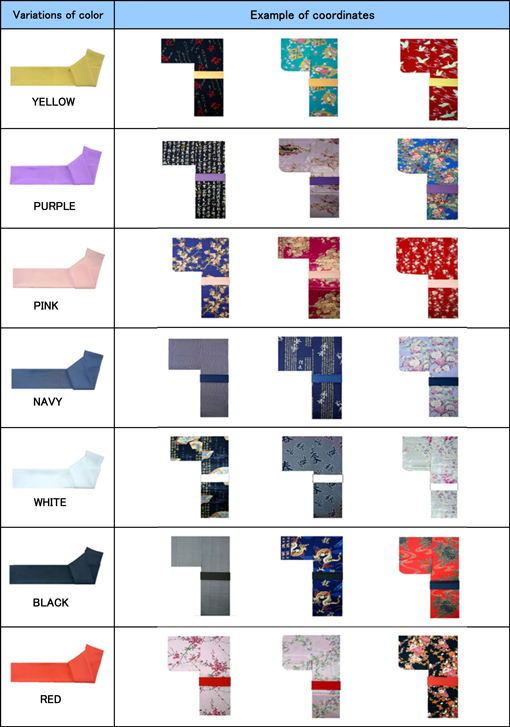 Red sash for Pink Kimono, Navy sash for Blue Kimono and so on. There is no problem whatever color you may choose. Have Fun! ※"Color Sash" appears in the category of "Accessories".